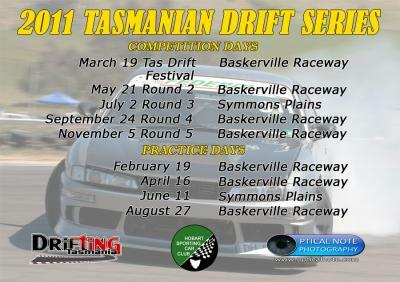 Please see below 2011 Tasmanian Drift Series Dates. You will be able to earn points toward the series from Tas Drift Festival on March 19. 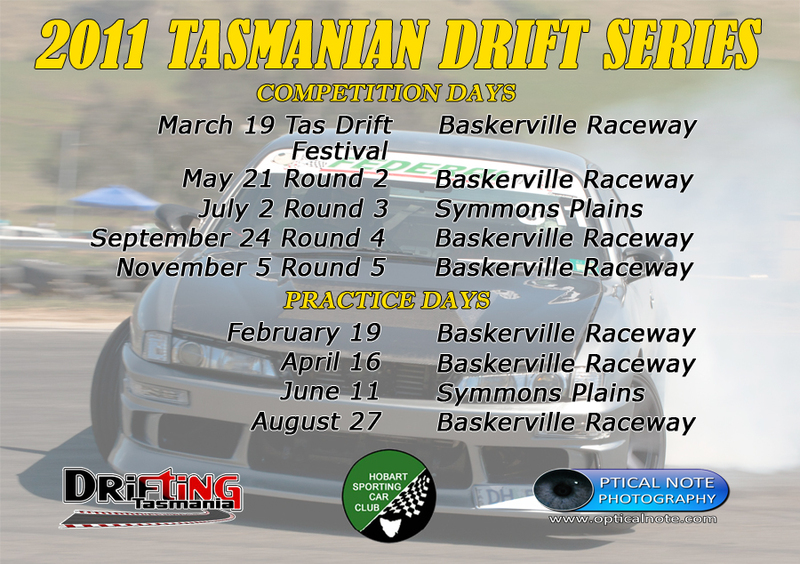 Is there going to be a big entry comp at the tas drift festival? Can we get a speed radar gun going for it? 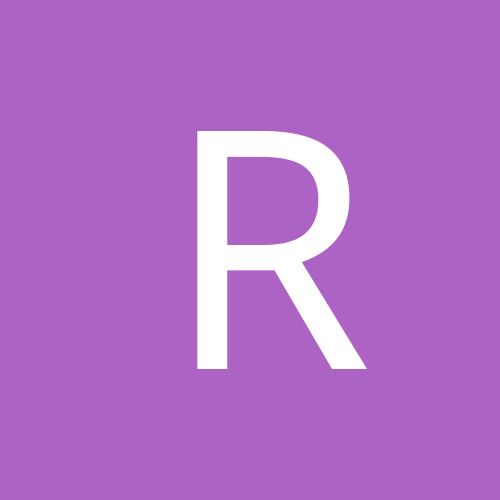 so that an accurateish speed reading plays a factor in deciding the biggest entry? You're all about the big entries brendo! Will need to put in some practice if your going to pull of the backwards one cons! Yes there is going to be a big entry comp - we tried really hard to get a radar last year but could not find one and the police declined to attend and use theirs. If anyone can suggest where/how to get hold of the equipment please let me know. Thanks, Kate 0439 989 231. I'll have a chat with Engineering here at the Uni. I'm one of the two IT guys for Engineering, and police radars and the like are calibrated and certified here.